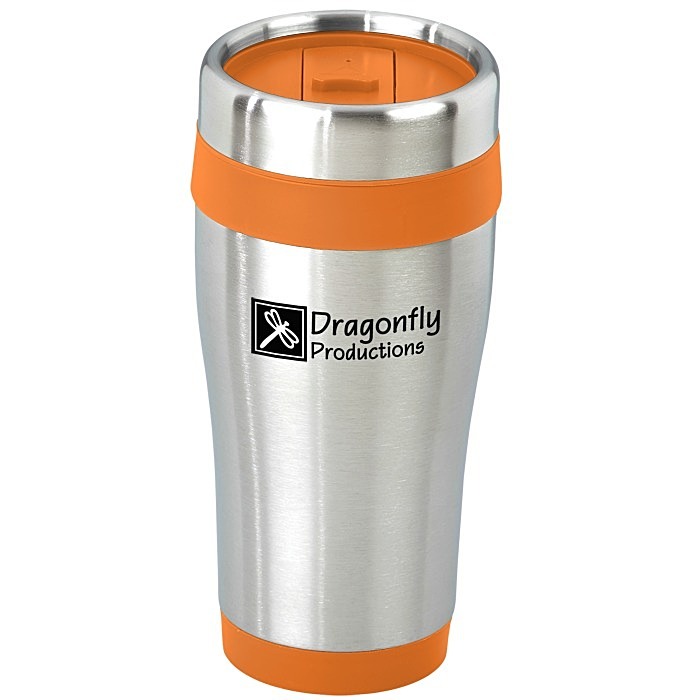 Watch Video for Steel Tumbler with Color Trim - 16 oz. Boost your brand with stylish personalized drinkware! Sleek imprinted stainless steel tumbler features bold-colored trim against silvertone to draw attention to your message. Color-coordinated plastic liner matches with the accent color for a fresh finish. Several bold trim colors to choose from! 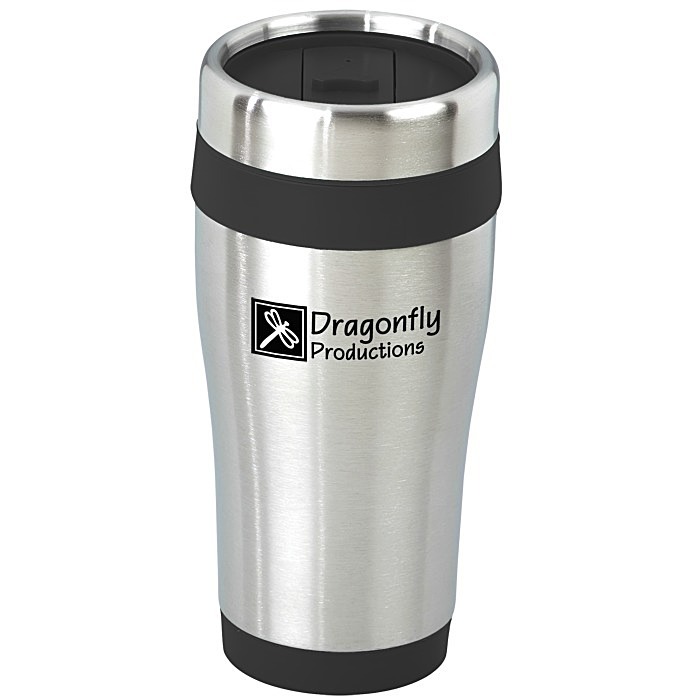 This same custom travel mug is also available in black (#6915-BBlack Stainless Steel Tumbler - 16 oz.) and sunset colors (#6915-EXSunset Stainless Steel Tumbler - 16 oz.). Your price includes a one-color imprint on the front of the travel mug.